ASP.NET is a unified web development model integrated with .NET framework, designed to provide services to create dynamic web applications and web services. ASP.NET plays a vital role in software development. 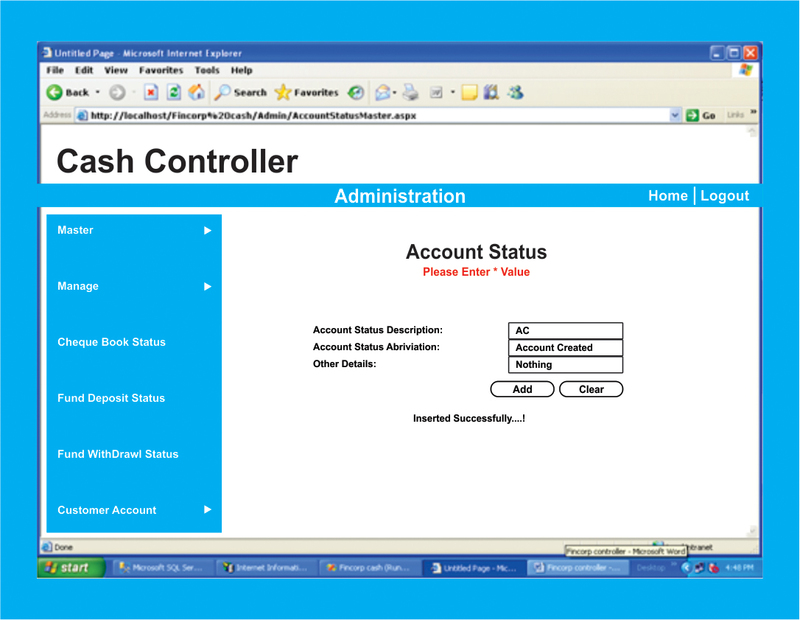 This is the web based online banking management project we have made in ASP.net. the database we have maintained is MS SQL. The user can manage his account. First to use this application the user has to sign up and then he can access the different services. The user can view the status of his account. He can also view the status of cheque book which means if the customer has received his cheque book or not. The user can also view the status of the funds the customer has deposited. All this data is stored in the database at the back end and query is executed according to the need.